RV Accessories Can Be Fun and Useful! RV Accessories are a huge part of the RV Industry! 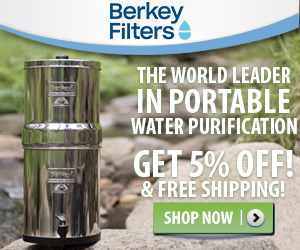 Today’s RV’er can purchase just about any of the incredible camper accessories needed. These recreational vehicle supplies can be anything from a simple little special towel rack for an RV bathroom to a huge grill for cooking outdoors. Many of these camper accessories are just that – something that someone has to have, really needs it or, just has the money to purchase the latest gizmo on the market! There are many retail outlets available for the RV’er to get these as well. Be sure to look at our RV Green Living Page to see some great Solar Cooking products, also! Here's a brand new product designed and made by our neighbors up north - Manitoba, Canada. It comes in various sizes and number of panels. Even better, it stores under the actual RV itself. We are very particular about storage space and keeping everything in it's place. Just imagine how convenient this is - the storage system mounts it underneath. It is slip resistant even when wet and features several styles, colors and sizes. Be sure to take a look at their new products at Decked Out RV Products - for Life Outdoors! 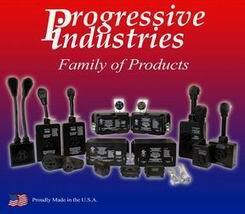 Most RV Dealers throughout the country will have a large area dedicated to just RV Accessories – from motorhome awnings, screen rooms, refrigerators, Day/Night Shades, Sunscreens, washer dryers, toilets, motorhome tires, electric surge protectors (as seen here on your right - Progressive Industries includes a Lifetime Warranty! ), bathroom supplies, even accessories that the dealer will install for you, as well as just basic kitchen supplies! We direct wired our 50 Amp with a remote and it has saved us $$$$$ many times!!!! Best investment yet!! Seriously! 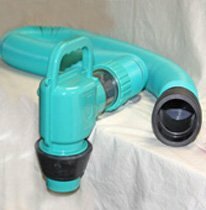 If you care at all about the environment, please seriously consider either the Polychute System or the Drain Master System (both shown above)for your Grey and Black Tank Drain Hose supplier. These systems are designed to either use your existing "bayonet" type fixture or a Heavy Duty "Cam Lock" fitting to prevent any waste from contaminating the earth. 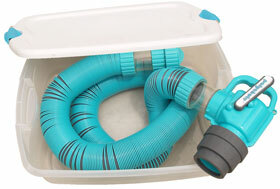 Either system uses the best possible grade hose, connectors and elbow fittings to provide maximum service to the RV'er! We've all tried the "regular" hoses - and they all fail and leak - Polychute or Drain Master will not fail or leak - period!! There are several very large suppliers with great Websites for just about any RV part or supply, as well. 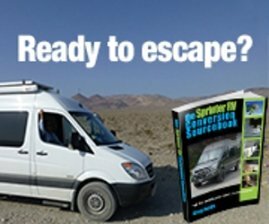 Just Google whatever part or accessory you need - perhaps with the letters RV in front of it and Google will help you find a source very quickly. Naturally, some will have a better website than others and some will even offer discounts if you join their site. 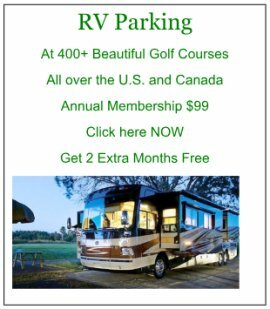 If you study the way they operate, many times you can get free shipping to your location if you aren’t able to visit a local RV Dealer. RV Accessories can also be really cool too! Especially for RV'ers with nosy neighbors, wind too strong to barbecue, or you just want a little extra privacy. It's called the Wallop! It was developed by a great inventor in Washington State - Aaron Inman - that just got tired of trying to do something outside in the wind! After years of experimenting and "tweaking", he started making and marketing this really cool portable wall. You can put it up anywhere within a few minutes and take it down even quicker! It is basically a 3 panel fabric wall with stakes and poles that let you configure how you want it, and where. It can be in a "U" shape, a straight line or "L" shaped. It's 6' tall and has three sections. The fabric is available in several styles. We have one and love ours! 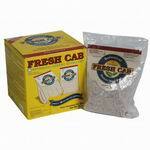 We had heard about this product called Fresh Cab to keep mice away. Guess what? It actually works!! We put it down behind all our wheels (keep it dry) and not a mouse to be found! Yeah!! Have no idea how the name applies to mice and keeping them away, but the product does exactly that. Incredible Idea that really works - such a pleasure not having to deal with a trapped mouse! As you can imagine, some of these camper accessories are really not needed by the average RV’er – just wanted! As in anything, the size of the wallet (or credit card) will usually determine just what accessories you have to have. Many will be energy saving devices, some will make you life easier and others can be just fun! Take a look at our Reviews Page for other "opinions"! 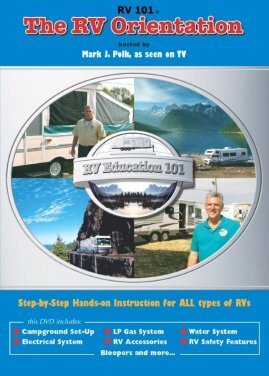 Do You Have A Great Story About an RV Accessory? Do you have a great RV Accessory you love to brag about? Share it! Tell Us why it's the bestest!